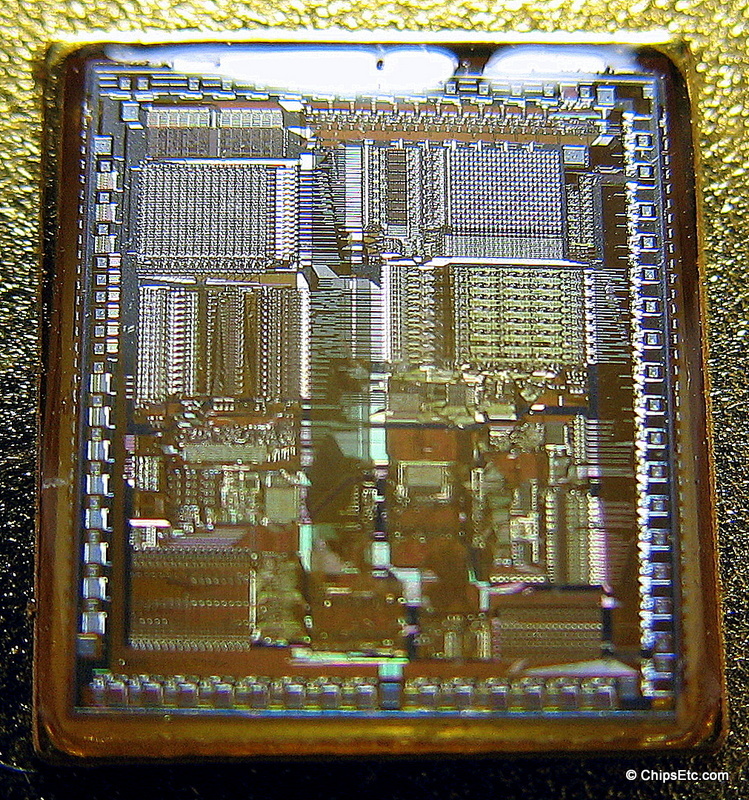 Specialty: Major player in the development & production of electronics, computer hardware, semiconductors & electrical equipment. 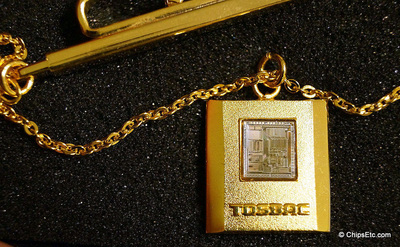 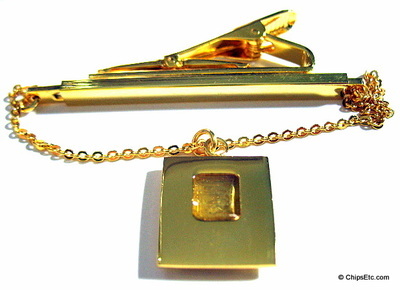 This gold-tone promotional tie bar from Toshiba features a pendant that contains an actual CPU chip of the type that were used in their "TOSBAC" (TOshiba Scientific and Business Automatic Computer) computers. 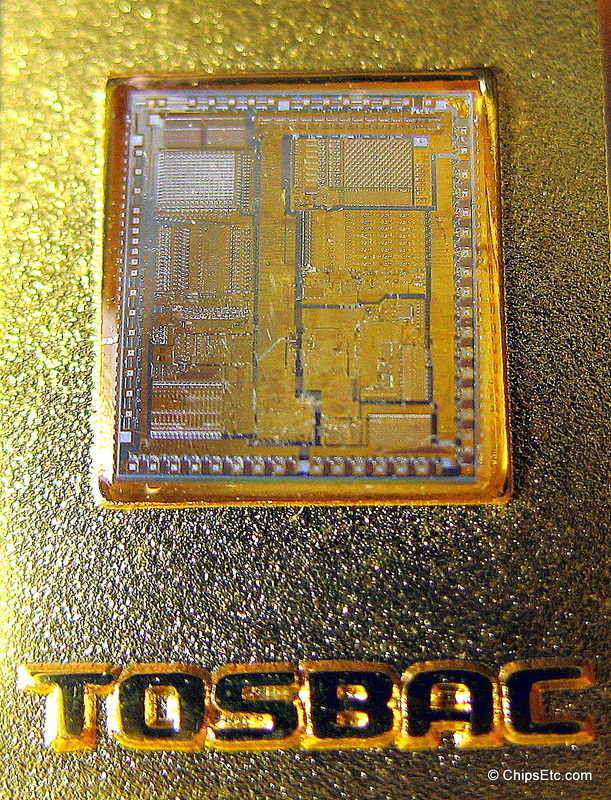 Numerous models of Toshiba's TOSBAC minicomputers were developed, starting with the TOSBAC-4200 transistor based computer in 1961. 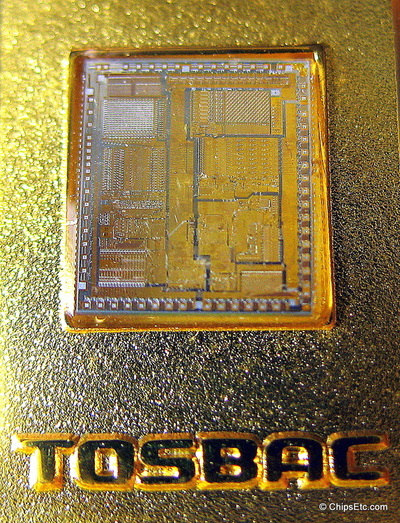 ​The TOSBAC-1100E, introduced in 1968, was Japan's first computer to use Integrated Circuits. 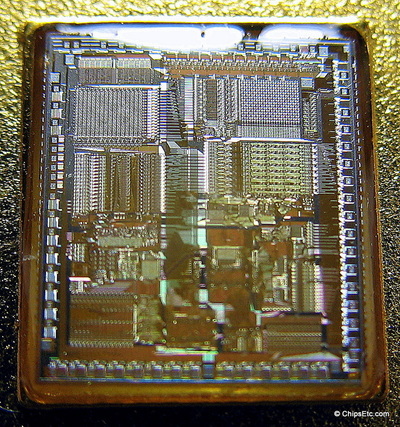 The IC's used were DTL (Diode Transistor Logic) technology. 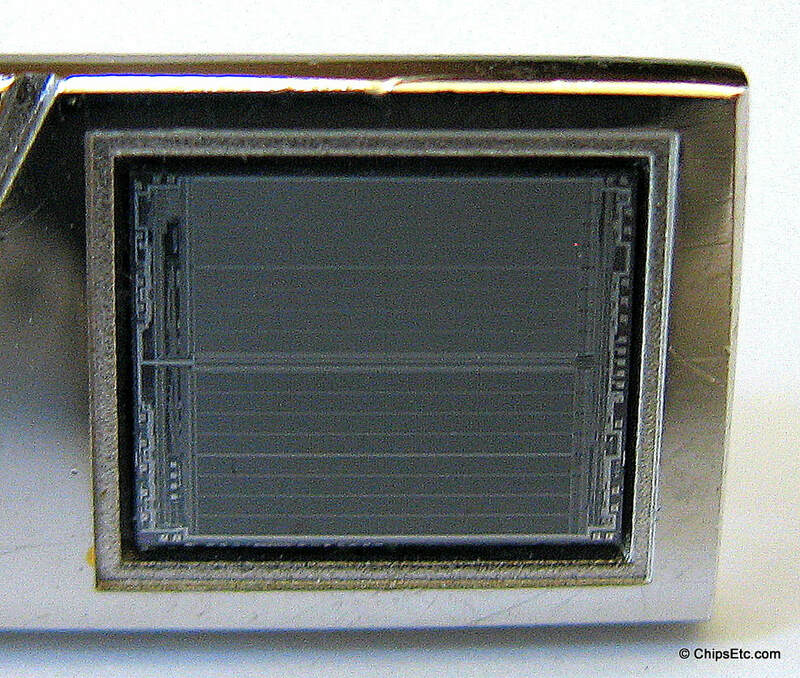 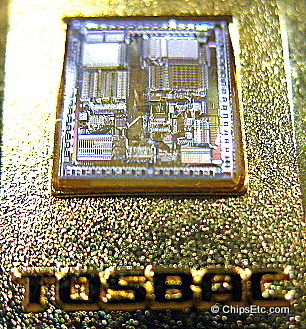 In the 1980's, TOSBAC computers would evolve to using multiple 32-bit Microprocessor chips to power them. ​New unused item, Comes in original plastic case with foam insert. 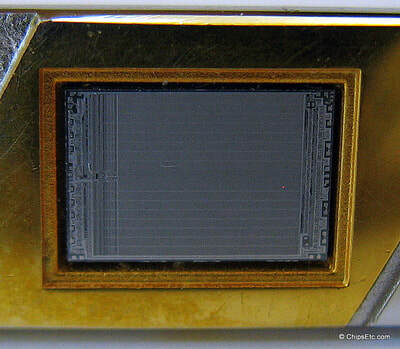 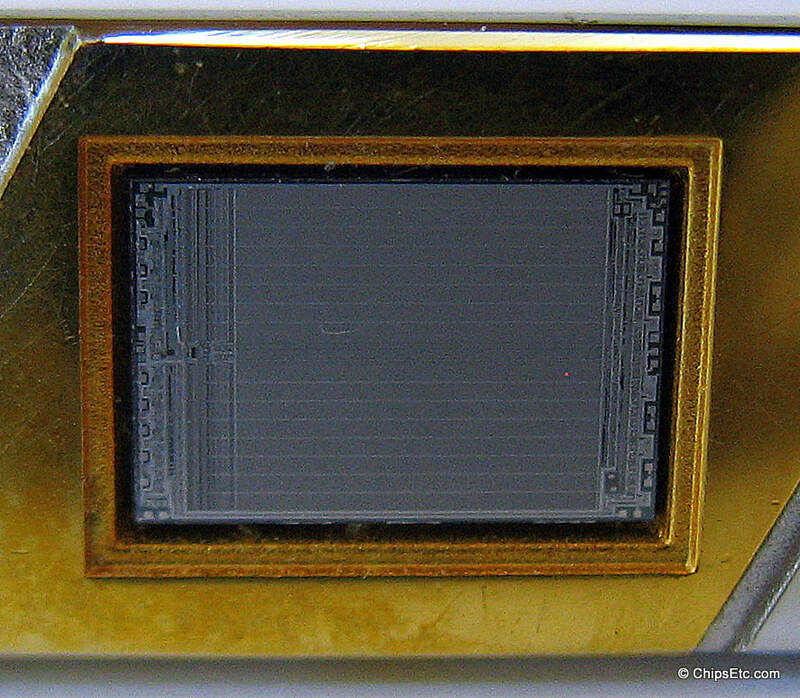 Toshiba won an Industrial Research Magazine "I•R 100" Product Award in 1982 for these two specific memory chips. 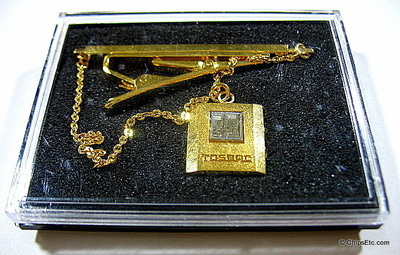 This tie clip was given out to select Toshiba employees in recognition of that award. 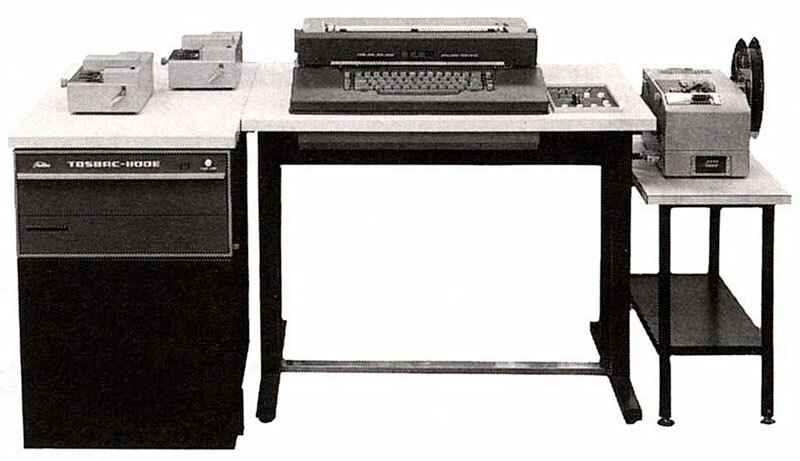 Reads " '82 I•R 100" on the front and Toshiba on the back. 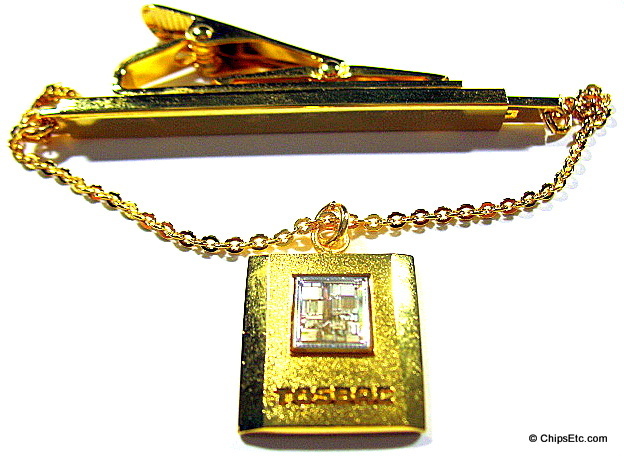 This promotional tie clip contains an actual Toshiba IEGT (Injection Enhanced Gate Transistor) chip embedded on it's front with the words "Toshiba Power Electronics". 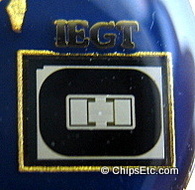 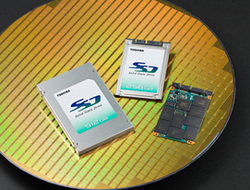 The IEGT transistor, developed by Toshiba's Electronics Devices Group starting in the late 1990's, is a semiconductor device used in the fast switching of circuits in high power electronics such as electric cars, air-conditioners, sub-way trains, motor drives, renewable energy sources, and computer power supplies.